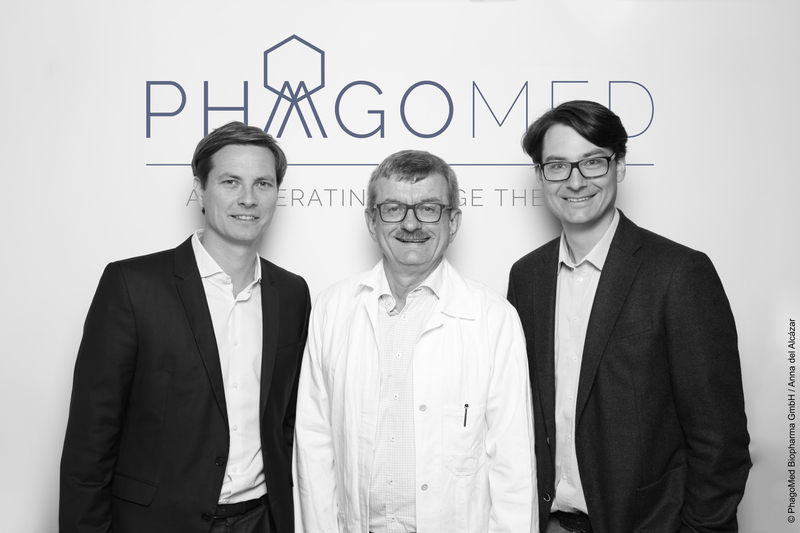 PhagoMed, is one of the few biotech companies working towards bringing phage-based pharmaceuticals back to life and into our treatment pathways. Vienna, 16 November 2018: Today the first TED Talk on phages and phage therapy went live on TED.com. In the talk, PhagoMed’s Co-Founder and CEO Alexander Belcredi recounts how he became fascinated by phages, the history of the discovery of phages and their potential in therapeutic applications. The talk was initially recorded at the TEDatBCG conference in Toronto, Canada in early October and subsequently selected to be published on TED.com. Bacteria are a well-known fact of life. Their existence is taught to children and covered extensively in every biology class. Phages are similarly well-known within the scientific community for their widespread existence and ability to infect and kill bacteria. However, so far phages are less known to the general public – despite phages being the most ubiquitous natural entity on earth. TED Talk recognizes the importance and relevance of phages. 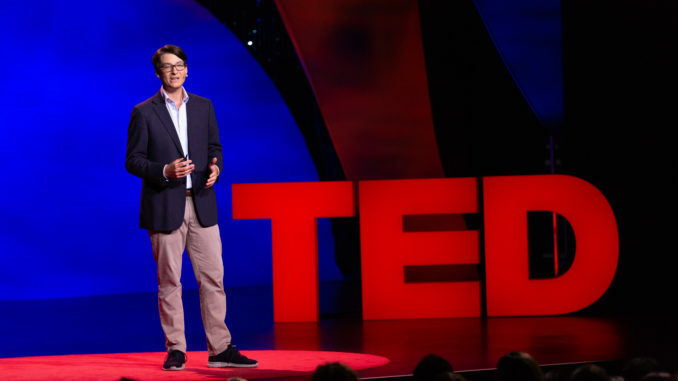 “It is a great honour to be able to share the knowledge of phages through a TED Talk. At PhagoMed we firmly believe that phages are one of the most underutilized resources in our fight against multi-drug resistant bacteria.” says TED Speaker Alexander Belcredi. “We hope that sharing the idea of phages and phage therapy will provide additional positive recognition for the efforts PhagoMed and other biotechs are making in bringing phage therapy back to life in key medical applications. “Phages are able to destroy bacteria effectively by using a mechanism of action regardless of a resistance to antibiotics”, says Prof. Dr. Wippermann, Head of Surgery at a large German hospital as well as Co-Founder of PhagoMed. The threat of antibiotic resistance has been recognized by the WHO as a key global health priority, and this week has even been christened World Antibiotic Awareness Week. 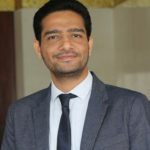 “Studies and experimental treatments performed by us and colleagues have shown that phages are able to succeed where antibiotics have previously failed.” PhagoMed was incorporated in November 2017 in Vienna to further develop this novel therapeutic approach and bring phage drugs to market that comply with the strict regulations for pharmaceuticals. A 2016 study commissioned by the UK government estimated that up to 10 million people could die from multi-drug resistant infections globally per year by 2050. Compare that to 8 million deaths from cancer today per year. Currently, the company is evaluating three potential drug candidates. One specific field of focus is the treatment of infected artificial joints, such as hip prostheses. These infections are difficult to treat since they are often caused by multi-drug resistant bacteria. In addition, the bacteria typically form a so-called biofilm on the surface of the prosthesis, which further inhibits the effectiveness of antibiotics. In these types of complex infections phages are especially promising as a treatment alternative since they can degrade the bacterial biofilms as well as kill the multiresistant bacteria. The treatment of infected prostheses with phages will be further evaluated by PhagoMed in an animal trial starting later this year. The company has already received more than €4 million in grants and private investments. The cornerstone of the three-part financing that was announced in August 2018 is an FFG funded research project with a total volume of €3.5 million until 2021. For the first research year the FFG has approved a funding rate of 70%. In addition, private investors contributed €750.000 in seed financing. The final part of the financing round is an €800.000 aws-Seedfinancing. “The strong seed funding round has allowed us to quickly scale the company and speed-up our work toward human pharmaceutical applications of phages.” says Alexander Belcredi. PhagoMed team (from left to right) “Dr. Lorenzo Corsini, Prof. Dr. Burkhard Wippermann, Alexander Belcredi, MBA”. © Image is subject to copyright of PhagoMed Biopharma GmbH / Anna del Alcázar. PhagoMed Biopharma GmbH is a biotech company focused on the development of human therapeutic applications of phage therapy. Its development programs are based on the last-resort treatment experiences of its clinical co-founders with phages as well as research collaborations with highly prestigious scientists and research institutions in Germany (Leibniz-Institute DSMZ-German collection of microorganisms and cell cultures GmbH, Braunschweig as well as Justus-Liebig-Universität Gießen) and Belgium (Ghent University). Currently, PhagoMed employs six highly qualified employees at the Campus Vienna Biocenter in Vienna, Austria. PhagoMed Biopharma GmbH recently attracted more than €4 million in grants and private investments. Bacteria against which multiple antibiotics have become ineffective are a critical medical problem. Across the EU more than 33.000 deaths per year are attributed to multi-drug resistant bacteria and the death toll is expected to rise further. Phages, a specific class of viruses infecting and destroying bacteria, are a promising alternative to combat these bacteria.